(Apologies for the poor pictures - didn't have my camera with me) This was my last meal with my cousins on my TX trip. It was the also the first meal after the wedding so plenty of people were happy to eat some pho since they were hung over (odd how it's good hangover food huh?). 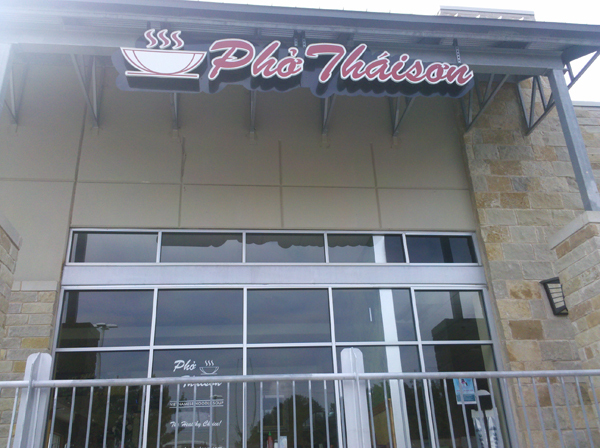 Apparently it's a chain of restaurants in the Austin area, and this branch, according to my cousins, wasn't the best one. Oh well. It was the one where we all congregated. I decided to go with my typical dish. So my hefty bowl of steak, tripe, tendon, and flank steak in pho came, and like the other pho I had seen at another restaurant when someone ordered it in Austin, the broth was very dark. I'm accustomed to translucent and yellow-ish broth. 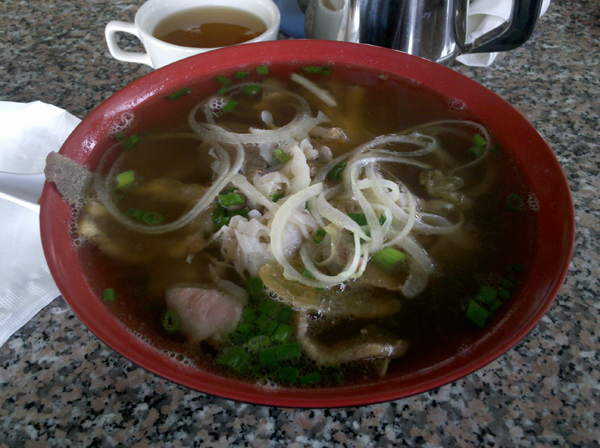 The second thing I noticed actually was that the broth was quite oily. There was certainly a lot of good cuts of meat (beef in Texas, of course!) but it couldn't take away from the fact that I felt like I was drinking slimy soup. I barely finished my bowl because of the quantity. I'll give them more stars for the amount of good meat and noodles but they didn't impress me with how much oil was in the broth nor how much MSG I tasted.